The perfect way to greet and seat your guests at your beach themed event. 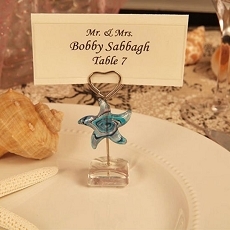 Each place card holder has a blue Starfish design charm attached to a metal stick holder seated on a crystal glass base. Available only from Cassiani collection, as your guests arrive to your special day they can be greeted and then seated by these unique place card holders that they can take home and use as stylish photo holders as well. 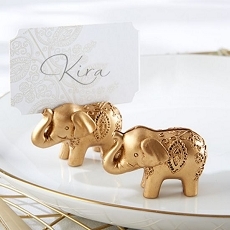 Each place card holder measures 4.5" high.